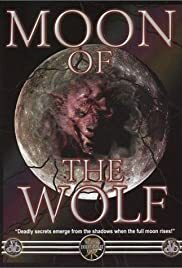 A big-game hunter comes out of retirement to help track down a killer wolf, and begins to suspect that it isn't a wolf but an animal that can take human form. Three horror stories linked by a sinister delivery boy. The stories are "Heroine Overdose", "Pandora" and "Veteran's Day". Jack Dameron, the adopted son of a great Asian trading family, lives the perfect life and his star is quickly rising in the family business until he's framed for his wife's murder. He must find the real killer before the cops get him. In this made-for-TV drama, Angie Dickinson stars in three separate vignettes as a woman whose life is dramatically affected by the emotion that gives the film its name. Robbers, drug dealers and pimps are being killed in the streets. Quinn, a policeman with a mysterious past is on the case. Cemetery director Robert Kraft discovers that by arbitrarily changing the status of plots from empty to occupied on the planogram causes the death of the plots' owners. Royal Dano ... Tom Sr.
Tom Gurmandy Jr.: Oh sweet Jesus! It's Ellie Burrifors, Pa! Tom Gurmandy Sr.: Ellie Burr? Tom Gurmandy Jr.: Ellie dead I think by an hour! Tom Gurmandy Sr.: Wild dogs got themselves a taste of human blood! Ain't nobody gonna be safe out on the island! We get together, or they wipe out the island! You go call the sheriff! Tom Gurmandy Jr.: Yes Pa! Just like I said I can't get this movie out of my head. First off I really enjoy this movie it's not bad at all. I love the way they use the location scenery to great effect. David Janssen was always a good actor and all the other actors do a good job. Of note Barbara Rush and Geoffrey Lewis do a really good job with there characters. Why I like it so much ....(pondering).... It works, the story is simple it does not get overly complicated there is a nice touch of mystery and you do not find out who the werewolf is until the last 30 minutes of the movie. The only one problem is the makeup of the werewolf is not on the great side but I am pretty forgiving in that because I got into the movie. I love the way they actually took the time to work in some actual werewolf lore that makes it believable. I have to say I got my money's worth out of this movie because I have watched it 3 times since I bought it in the past six months. If you enjoy werewolf movies I recommend this movie to anyone.